Olympic shooter Matt Emmons will be competing at the ISSF world Championships this month in Spain. Matt is one of the USA’s top hopes in smallbore rifle competition. Emmons has competed on the U.S. National Team since 1997, medaling in three Olympic games: Gold in 2004 in Men’s 50m Prone; Silver in 2008 in Men’s 50m Prone; and Bronze in 2012 in Men’s 50m 3X40. 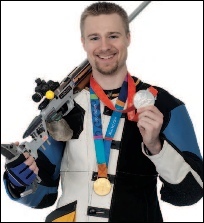 Although his specialty is Men’s 3-Position rifle, Emmons’ World Championship and Olympic Gold are in Men’s 50m Prone. He usually shoots an Anschütz or Bleiker .22LR rifle, with Eley Tenex ammo. 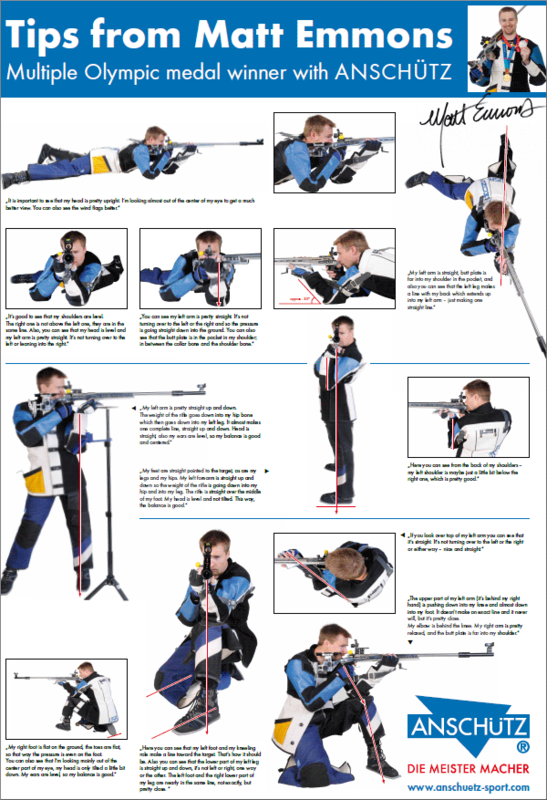 Share the post "Position Shooting Tips from U.S. Olympian Matt Emmons"
When Do Gunsmiths Need a Firearms Manufacturing License? Surplus Rifle Sales Version 1: A gunsmith purchases surplus firearms, cleans the firearms, then offers them for sale to the public. ATF Verdict: The company does NOT need to be licensed as a manufacturer. Surplus Rifle Sales Verson 2: A gunsmith buys surplus military rifles or pistols and removes the stocks, adds new stocks or pistol grips, cleans the firearms, then sends the firearms to a separate contractor for bluing. These firearms are then sold to the public. ATF Verdict: This would be considered manufacturing of firearms and the gunsmith should be licensed as a manufacturer. Surplus Rifle Sales Version 3: A gunsmith buys surplus military rifles, bends the bolts to accept a scope, and then drills the receivers for a scope base. The gunsmith offers these firearms for sale. ATF Verdict: This would be considered the manufacturing of firearms and the gunsmith should be licensed as a manufacturer. These three examples provided by the ATF suggest that gunsmiths need to study the law, and be mindful that the more a firearm is altered and modified (with the objective of resale), the greater the possibility that a manufacturer’s license would be required. Below are examples of gunsmithing operations with guidance as to whether or not such operations would be considered manufacturing under the Gun Control Act (GCA). A key factor is whether the “operations performed on the firearms were… for the purpose of sale or distribution”. (NOTE: These examples do not address the question of whether the operations are considered manufacturing for purposes of determining excise tax.) View ATF Manufacturer FAQ Page for more details. Example 1: Completing Rifle on Customer-Supplied Action. A company receives firearm frames from individual customers, attaches stocks and barrels, and returns the firearms to the customers for the customers’ personal use. ATF Verdict: Manufacturer License NOT Required. Example 2: Barrel-Making. A company produces barrels for firearms and sells the barrels to another company that assembles and sells complete firearms. Because barrels are not firearms, the company that manufactures the barrels is not a manufacturer of firearms. [However], the company that assembles and sells the firearms should be licensed as a manufacturer of firearms. Example 3: Single Gun Project. A company acquires one receiver, assembles one firearm, and sells the firearm. Example 4: Production of actions or frames for direct sale. A company produces a quantity of firearm frames or receivers for sale to customers who will assemble firearms. ATF Verdict: Manufacturer License IS Required. Example 5: Production of actions as parts suppliers. A company produces frames or receivers for another company that assembles and sells the firearms. Example 6: Modification of Pistols. A gunsmith buys government model pistols and installs “drop-in” precision trigger parts or other “drop-in parts” for the purpose of resale. This would be considered the manufacturing of firearms, as the gunsmith is purchasing the firearms, modifying the firearms and selling them. The gunsmith should be licensed as a manufacturer. Share the post "When Do Gunsmiths Need a Firearms Manufacturing License?"